Now that we're over jetlag I have some time to write this travel review and thank you properly for the wonderful safari you arranged for all of us! First, I cannot imagine a better guide than Mungai. He was always right on top of everything, exceedingly knowledgeable, amazing in his ability to quickly spot the most camouflaged creatures and birds, wonderfully kind, interesting, funny, sensitive -- in short I cannot say enough good about him! And he is an absolutely brilliant driver. If we have the opportunity to return, which we would love to do, we will certainly request him again. The accommodations were fine, particularly given our budgetary constraints! We were very happy at the Aberdare Country Club and the Ark -- we did learn fairly quickly that it was a good idea to stick to the Indian cuisine when we had a choice! But the staff there (which seemed to move with us when we went to the Ark) was exceedingly friendly and helpful. We loved the rather exciting drive through the Aberdares to the Ark, and we loved being at the Ark. Somehow the food was better at the Ark than at Aberdare CC, maybe we had a better appetite! We had a great time watching the animals that showed up, but we are now suffering from elephant envy as Rose, John and Jossie saw about 43 elephants at the watering hole and we only had one. AND they got a leopard.... Must do that again. Miti Mingi was very accommodating and comfortable. A very good functional B&B with helpful staff. And we had a good dinner at the Simba Restaurant at the airport the night we picked John and Rose and Jossie up. We loved our visit at the Sheldrick Elephant Orphanage. That's definitely something I would do again. The lunch at Karen Blixen was lovely. Unfortunately the giraffes were not very accommodating at the Giraffe Center, but we didn't give them very much time. 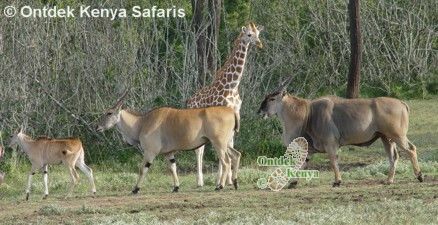 I think if I had Nairobi to do again, i would prefer a small safari in the National Park rather than the Museum. 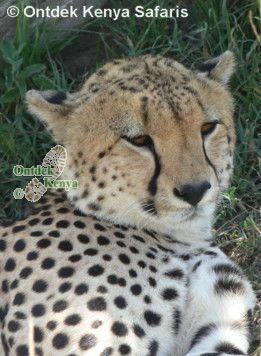 We are, of course, spoiled coming from New York City, and we were very glad Mungai had the opportunity to do the Museum because he seemed to really appreciate it and learn from it. We found, for ourselves, however, that the unrelenting requirement of being escorted by a guide didn't allow us freedom to pay attention to the things we were really interested in, or take only the amount of time we wanted to spend on any given thing, and some of the guides we encountered in various places were not really as knowledgeable as Mungai. Sometimes the local guides used time explaining things we already knew, and added little to our experience of the place. I think they should be better trained to find out what we want to know and don't know, rather than subjecting everyone to the same patter. A singular exception to this was the guide on the boat ride on Lake Naivasha, who was expert in the birds and gave us a truly value-added experience. He was fantastic, clearly enthusiastic about our interest in the birds, gave us a much longer ride than we expected, and was sensitive to our wishes. Lake Naivasha Country Club was all right, not quite as comfortable as Aberdare CC, and the bed was rather unforgiving; oddly, there were small things that could have made the room more comfortable for very little expense to the club, like a place to set one's suitcase. The food there was also not as good as at the Aberdare CC. But it was fun being awakened in the middle of the night to see the hippos feeding on the lawn. Interestingly, we would not have known about that if I hadn't gone late to the front desk to ask questions about the service at dinner and the laundry service, it was the person who escorted me back to my room who asked if we wanted to be awakened when the hippos came. Of course we did. The staff at Lake Naivasha CC was very accommodating and helpful, and the maitre d' took special care to defend our table for us in the dining room. Our absolutely favorite lodging was the Oloshaiki Camp. We loved the accommodation and the staff was delightful. It was by far the most comfortable place we stayed at, and had the best food. And of course the views of elephants going by in the morning, and sunset, and sitting around the fire pit with a beer, all were unforgettable experiences. The lack of a swimming pool was not a problem for any of us, although I think Jossie would have used it if there had been one, but for the rest of us, frankly we didn't have time or energy to go swimming. When I think back about the trip, one of my favorite memories is sitting in the tent in the evening by the low light transferring my photos to the computer and recollecting the day. The Naivasha Kongoni Lodge was quite different from the other places, and it was nice to have the space to spread out and do stuff together in our little house. The beds were very comfortable, the food was fine, and the staff were, again, very friendly and helpful. And the presentation and meal at the Kiambethi Tea plantation on the way back to Nairobi was really interesting. The food was of course excellent, and Fiona was great, and we all particularly appreciated the dogs and the gardens. It was also, I think, an extremely good idea to have a dose of colonial life as a reminder of history, and recognition of continuing different life styles in Kenya. We had a wonderful time on the various game drives and walks. The first walk at Aberdare Country Club with you was a good introduction to the trip. Ol Pejeta was a great day, although we both found the chimps a bit depressing. I'm glad they're being taken care of, it's just hard to see them behind a fence. Rose says a couple were working on a jailbreak while she was there, trying to tunnel out.... We know they have to be there, and they have plenty of space to roam in. Solio Ranch was a good game drive, with a lot of birds -- all the way through the bird sightings were wonderful. Experiencing the completely different terrain of Aberdare National Park was great, and Mungai really showed his driving skills there -- we were so glad to be able to go through the park, thanks to him! The Crescent Island walk was very good, although I wish we had seen the giraffes a bit more and closer. The day driving around Lake Nakuru was also very good, despite the flamingos having mostly abandoned us! And the days in the Masai Mara were simply wonderful. Mungai was great getting us to where the game was, and we had a fantastic time sighting birds and beasts. Lots of lions, and one very special cheetah, and of course the great shots of giraffes traversing the horizon. Then we were also in the midst of a column of migrating wildebeests which went on forever, what a fantastic experience. I think the sheer multitude of animals and birds, and the size of the plains, were simply astonishing to all of us. Mungai was very helpful and accommodating with several special requests, to visit memorable sites from Deirdre's family past like the place where her parents were married, and also my request to visit a real Kenyan marketplace. He took us to the market in Naivasha and we really enjoyed ourselves going through. 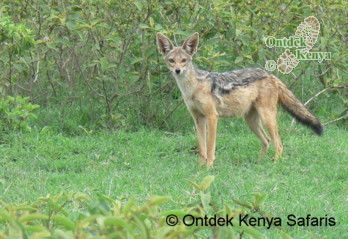 I think I would have been happy with more encounters with Kenyans living ordinary Kenyan lives, and it was good just to watch them going about their business when we stopped at a grocery store and a couple of other places, and of course driving through villages and towns. The curio shops are a necessity I suppose providing rest stops, but overpriced even after bargaining down, especially since they are the first thing one encounters. I was pleased at the last one when I simply told the salesperson I wasn't buying because at my time of life I would just be giving things away again, and he wanted a conversation which we had, and I learned more about his life and his work and how he moves between home and work with long absences from family. The constant bargaining is wearing on us westerners.... but we managed! By contrast, the Elementaita Weavers shop was fantastic, we got a lot of things there and the quality, even of things that weren't their specialty, was much better than the curio shops. Also, frankly, the loos were better! I wonder if there are other such hidden gems en route. I think the Masai Village was a mixed experience. it was good to be in the hut and feel it, the darkness and closeness, and there was cooking going on which I imagine there always is in the tourist villages. The young men were fun and friendly -- but we were sorry not to encounter the women more and talk with them at all, and I know from web pages that there are villages where the women also greet and talk with visitors. The long hot walk from the car through to the village seemed contrived and didn't add anything to the experience except to leave us hot and tired. That was one place where the guide might have contributed more, but he was not forthcoming during the walk so basically it was just a long hot walk. But I am glad we experienced one Masai Village. Again, we would have liked more interaction with the women. Deirdre and I wisely opted not to try to do the gorge at Hell's Gate, but we did have a good time at the view point waiting for the others, and there we had a little chance to interact with the Masai women selling things, in a very limited way. We all bought from these women quite enthusiastically; when Rose and John saw what Deirdre and I had bought, they went back for duplicate items. We have just had a long conversation with Rose and John, and we all want to come back and see more of Kenya with Mungai. We also were all very impressed with the way you organized the trip, and were very happy that everything was completely taken care of and arranged for us. John gave us his tally, which was something like 120 different birds, so we have only seen fewer less than 10% of the birds in Kenya; we must improve on that. And Deirdre and I still need to see a leopard. So when our finances have recovered from this trip, we will certainly ask you to arrange another! Thank you so much for all your good work. It was a pleasure meeting you, and we look forward to enjoying future safaris. Return to the travel review home page to read more safari reviews.